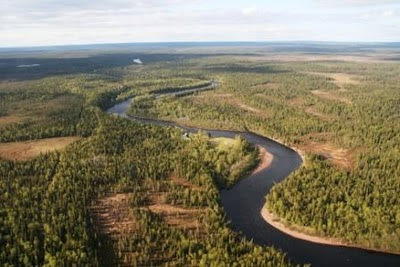 Our Varzuga season is short and sharp, starting as soon as the snow melt clears the river ice in early May and finishing in late June or early July. Always intense and exciting it seems over in a flash, hard to think that our first post on this Blog was just eight weeks ago. We started with unusually warm weather in May, our reserves of snow vanished early and there was a degree of concern over water levels later in the season. As so often is the case, nature balanced out the result; early June brought enough rain to hold the water levels up nicely. In fact, we ended with water levels a touch above average. We landed just under 4,000 salmon to 144 rods, not a vintage year by Varzuga standards (an average year would have produced around 5,500 salmon) but an extraordinary result compared to any other salmon river. 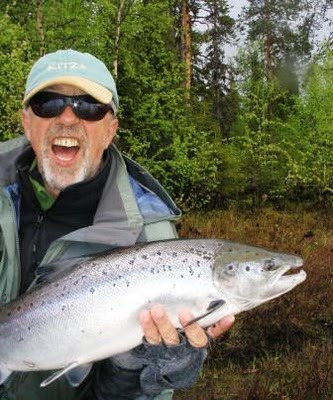 There were many highlights for us, too many to mention here, but to pick a couple - Sir Gordon Linacre caught the biggest salmon of the season at 25lbs from Pana, at the youthful age of 89! 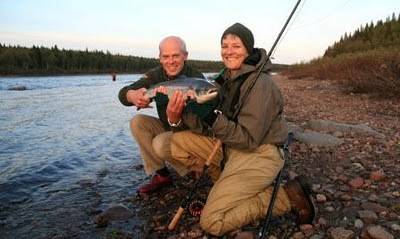 Secondly, the wonderful smiles and grins from over 20 guests who landed their first Atlantic salmon. Guests new to the river could not believe how good it is, older hands had to try harder this year and realized just how good it can be. Thank you to all who joined us this year, we really enjoyed seeing you on the river and look forward to seeing you all again next year, and we also hope we will welcome new guests who have been watching this Blog. And of course, a big thank you to Mikhailovich Kaliuzhin and all our friends and supporters from the village of Varzuga who work on the programme and make it happen. 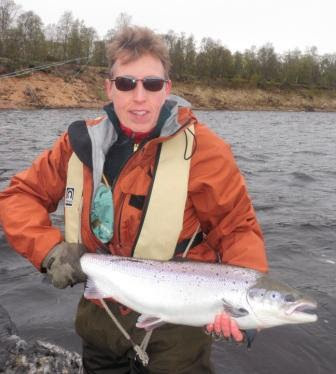 We will open the blog again next May when we commence our 20th season on the Varzuga. Until then farewell and good fishing.